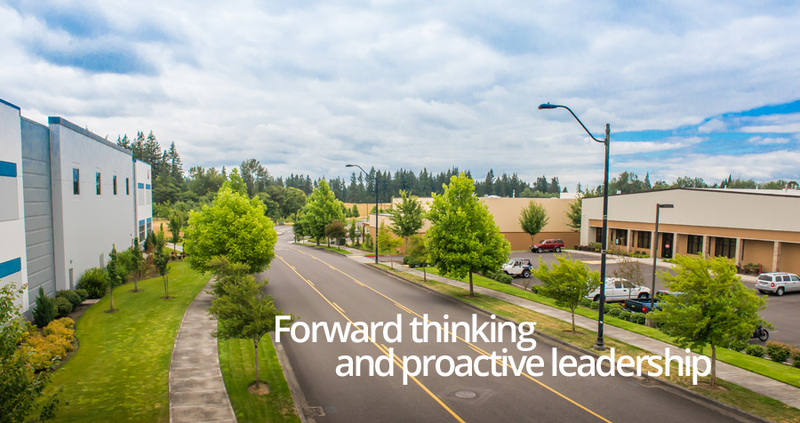 Investing in Ridgefield - The City of Ridgefield, Washington | Forward Thinking. Rooted in Tradition. In Ridgefield, you’ll find a growing, vibrant community of over 7,000 citizens. Our city is comprised of newcomers excited about making this nature-filled place their new home, and long-time residents who continue to revel in Ridgefield’s picturesque surroundings, family-friendly neighborhoods and parks, and a strong sense of community. Add to it Main Street America charm and major employers, and you’ll find that Ridgefield offers a piece of paradise for those who want to get away from the Big City . . . but not too far away. 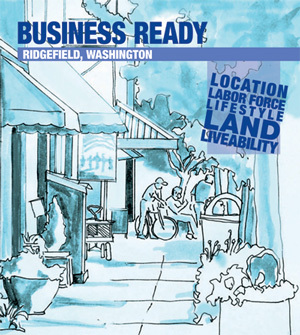 With Ridgefield’s commitment to quality in everything it undertakes – public parks, schools, business development, and more – it makes a great place to call home for your or your business. Visitors will find it welcoming here too! Businesses of many kinds appreciate our business-friendly and streamlined approach to permitting and services. And, with it, ample supply of open land and major infrastructure in place, Ridgefield is ready to proceed with quality development. 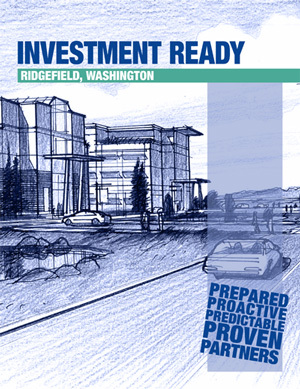 Significant projects on the horizon in Ridgefield’s future include the construction of a Clark College satellite campus, a Vancouver Clinic facility, an outdoor recreation complex, a larger community library and the commercial development of the Port of Ridgefield’s 40-acre waterfront site – a natural extension of the downtown area. WHY DO BUSINESS IN RIDGEFIELD? The Junction is a regional employment hub in the heart of the Discovery Corridor. It is a mixed-use destination that provides an attractive gateway to Ridgefield and the Portland-Metro area. The best near-term opportunity at this key intersection is for a grocery-anchored retail center near the Pioneer & 45th roundabout. With this concept, sites for commercial use would be possible at the three as yet undeveloped quadrants of The Crossing. The Downtown Waterfront District is nestled at the end of Pioneer Street featuring a vibrant mix of locally-owned businesses in a spectacular natural setting. Here, small-town charm is made magical with the Ridgefield National Wildlife Refuge as its front door, and the meandering Lake River providing a welcoming avenue for kayaking, fishing, boating, hunting and bird watching.